As the adrenalin surge subsides following Manchester City’s sublime storming of Stamford Bridge, let’s park the superlatives, any hint of hyperbole and focus on ice cold sky blue statistics. Premier League leaders, superb team spirit and great numbers – City are top of the statistic charts. In a nutshell Raheem Sterling is Top of The League (it has a certain agreeable ring) along with the rest of his team mates, with 19 points from a possible 21. 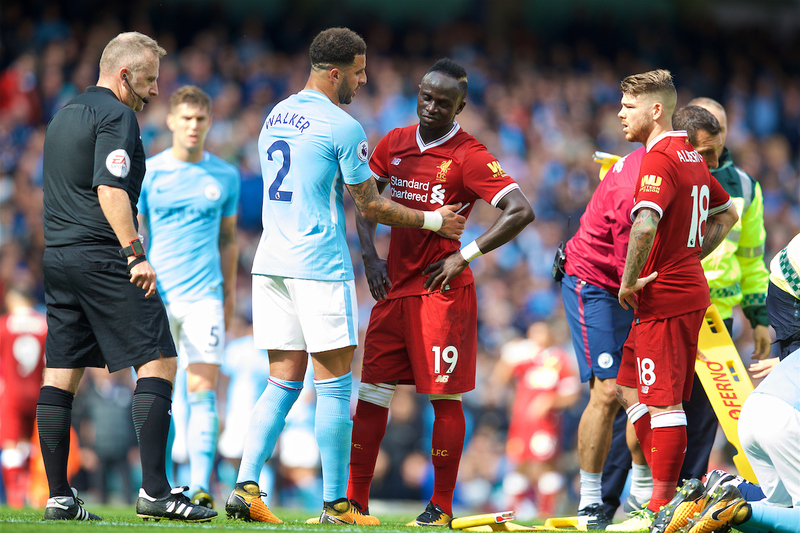 It would surely have been seven wins out of seven had it not been for Mad Bob Madley sending off Kyle Walker against Everton, but Pep and City are getting used to ‘iffy’ officiating and doing their utmost to neutralise refereeing ‘indiscretions’ by scoring goals, goals and more goals. 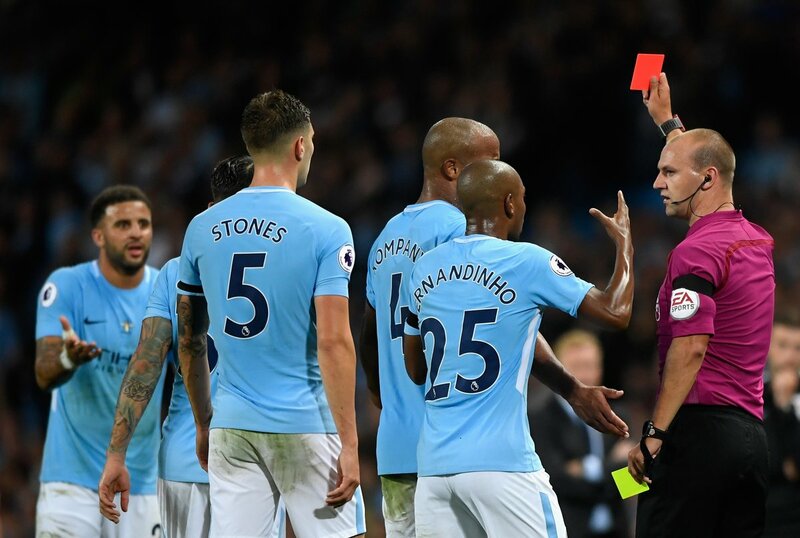 Here we go again – Mad Bob Madley got the ball rolling as far as rubbish refereeing against City goes in 2017/18, showing Kyle Walker an unwarranted red card. Doubtless plenty more to come. Last year at this stage, City had just one point less, but the big difference is there for all to see…and the stats back it up. They are the Premier League’s top scorers and occupy first place for passes (4679), shots (101) and possession (69%). City’s first tranche of fixtures threw up MCFC away days beside the sea at newly promoted Brighton and the always hospitable Bournemouth, intertwined with crucial clashes against potential title rivals Liverpool and Chelsea. 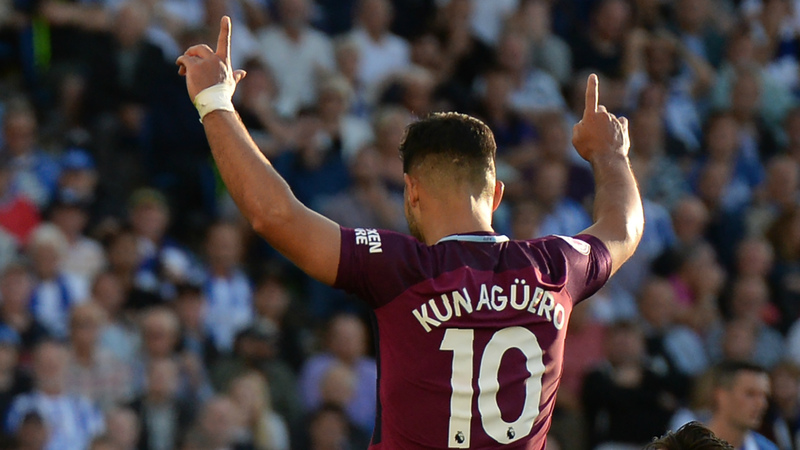 Aguero opened City’s goal scoring account for 2017/18 at Brighton. An opening day 2-0 win at Brighton’s splendid AMEX Stadium against Chris Hughton’s bus parking Premier League novices, was followed by the 1-1 draw with City’s perennial bogey team, who called upon referee Madley as their 12th man. Losing 1-0 and down to 10 men, it was City who were the ones going for the win and, had it not been 10 versus 12 for most of the game, the Toffees would’ve come unstuck. 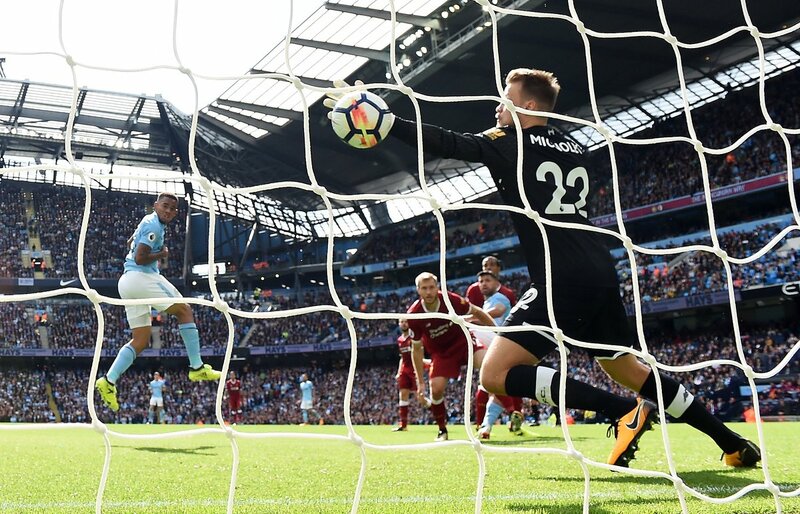 Perfect placement – Jesus puts City 2-0 up before half time against Liverpool. 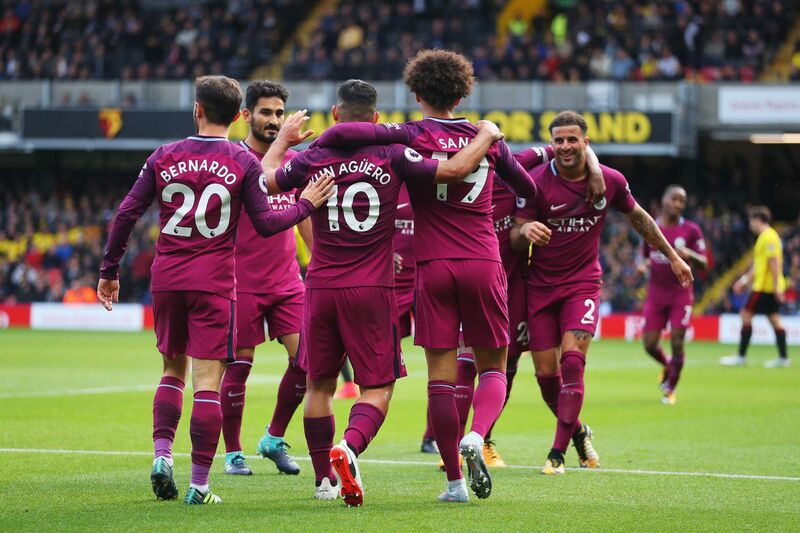 City clicked into gear and found their goal-scoring touch at the beginning of September as they fired five past Jurgen Klopp’s Liverpool without reply, before hitting Watford for six and plundering another five at the Etihad against Crystal Palace. They’ve netted 22 times in total, four more than at this stage last season. 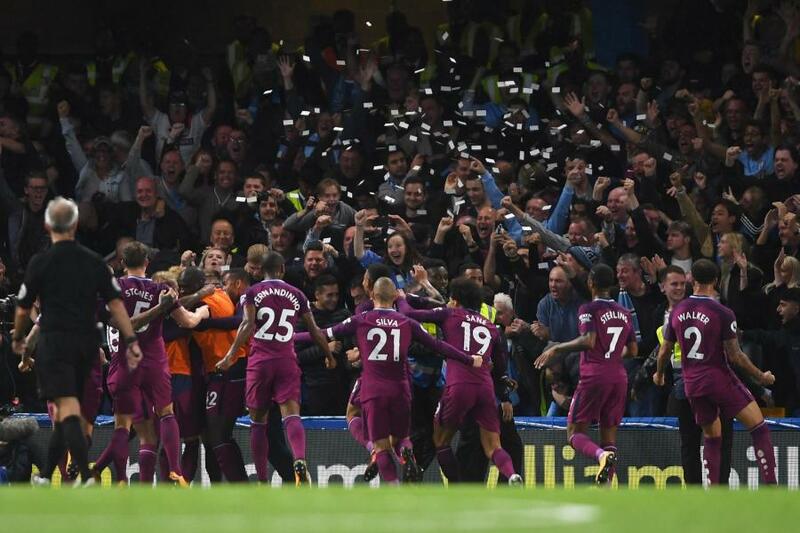 The highlight in 2016 had been the outclassing and beating of United 2-1 at The Swamp, but that pales in comparison to City’s masterful display at Chelsea on Saturday. 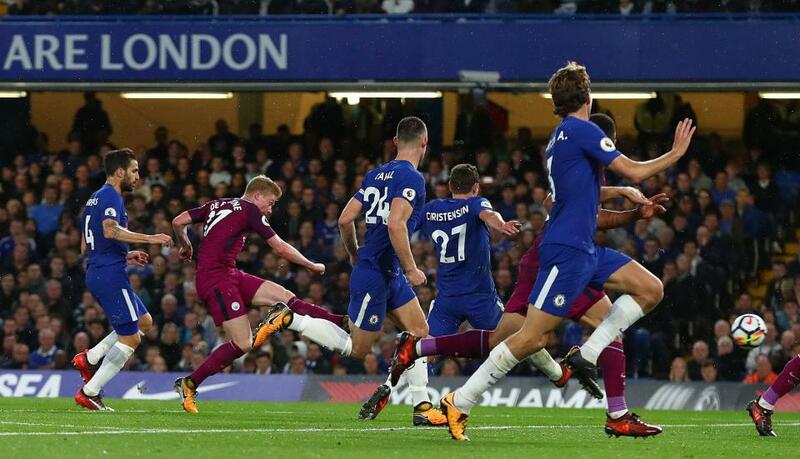 Kevin De Bruyne led City’s orchestral manoeuvres on the Dark Side when he opened the scoring in City’s 2-1 derby win in September 2016. 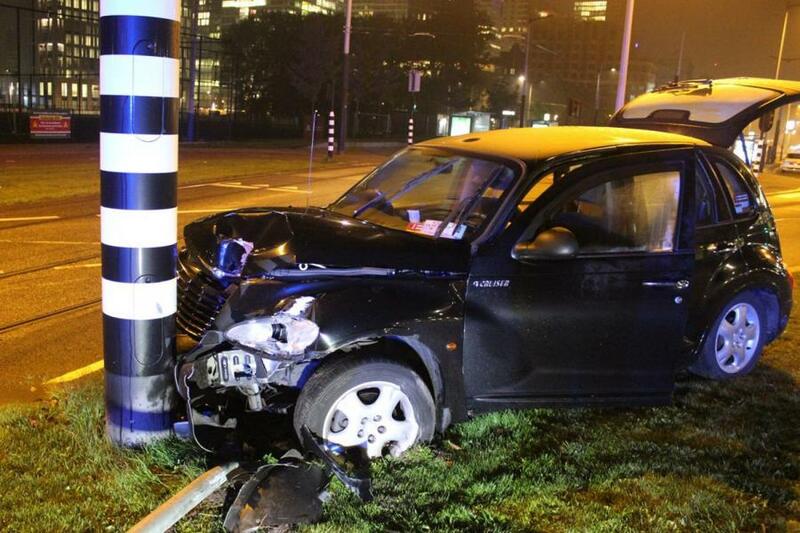 It’s worth noting a certain Sergio Aguero was missing on both occasions, last year having been stitched up by Andre Marriner’s poor eyesight and/or dodgy memory, and this year by a crazy Dutch taxi driver. Sergio’s misfortune apart, everything is heading in the right direction. Pep’s men hit 85 shots on goals in the first seven Premier League games of 2016. That’s risen to 101 this time around, the third highest in the top flight, ahead of Manchester United, Arsenal and Chelsea. Of those efforts, over 40 have been on target – an average of approximately seven per game. In comparison, Liverpool have had more strikes at goal, but have been profligate, compared to City’s more clinical finishing. City’s £45m summer signing Kyle Walker recently revealed that his new manager Pep, places a much greater emphasis on the technical aspects during training, more so than he was used to at Tottenham. Guardiola’s nigh on obsession with possession is reaping dividends with City’s ball retention going from 63% to 69% over the course of the last 12 months. With the shots and possession counts well up, it’s no surprise to see City’s productivity also on the rise. I know the feeling – Kyle Walker was sent off with City 1-0 down to Everton. This time Mane is going off with Liverpool 1-0 down to City. Walker is loving life under Pep. The addition of marauding full-backs, Walker, Mendy and Danilo has increased the threat-level City pose to opponents. Whereas the ageing legs of Sagna, Zabaleta, Clichy and Kolarov were unable to implement Pep’s wing back strategies, the new influx of players can now stretch the play and provide ammunition from wide-areas. Mendy is busy mending after surgery in Barcelona. Quick recovery please Team Shark Blue Leader. Last season, City attempted 66 crosses before the international break with a zero success rate – not a single goal. Fast forward 12 months and it’s a completely different story. Crosses have almost doubled to 121 with a return of four goals. City’s corner count has also increased, up from 40 to 57, with fans nowadays nurturing genuine hope that some will be converted into goals. 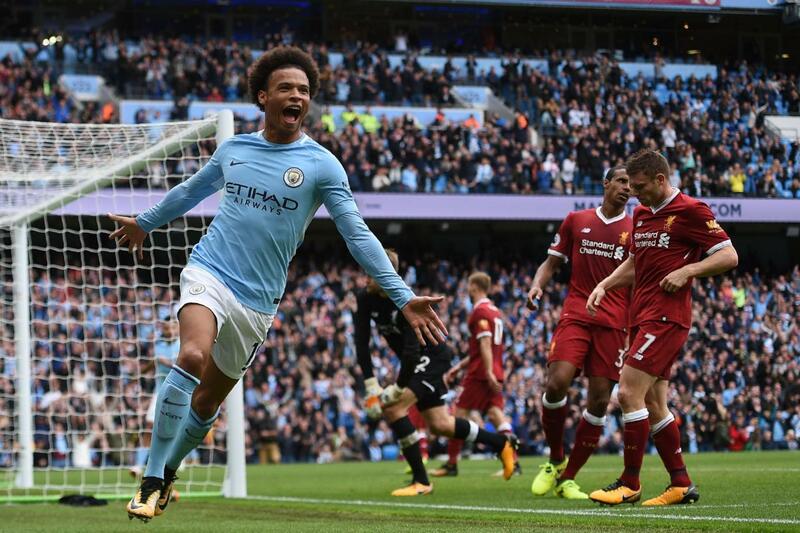 Wunderbar Wingman – Leroy Sane is banging in the crosses and bagging goals for City as they top the statistics tables. Not so long ago, City were the worst in the goals from corners ratio in the Premier League. The fans may be drooling at Pep’s brand of football, but player’s dribbling levels are down from 176 to just 121 in the 630 minutes, plus added time, played this season. Flourishing partnership – Jesus scores and Sergio assists. The South American duo have propelled City to the top of the goals chart. 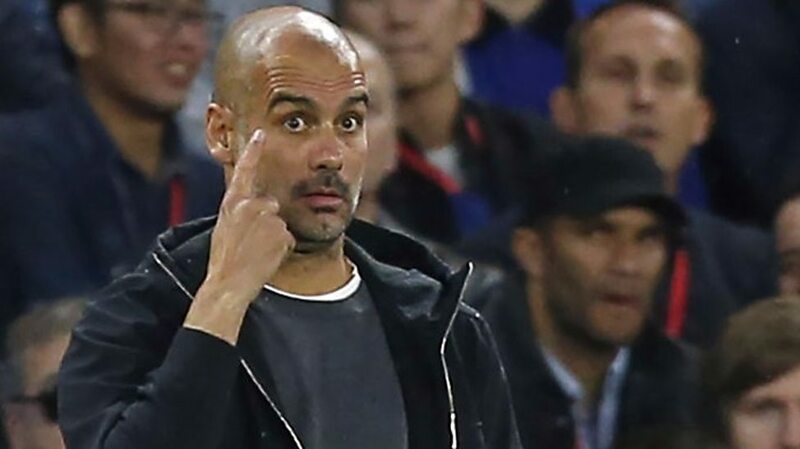 It suggests Guardiola’s favoured passing game and team ethic is now well in the ascendancy, as opposed to a reliance on individual players doing their own thing. 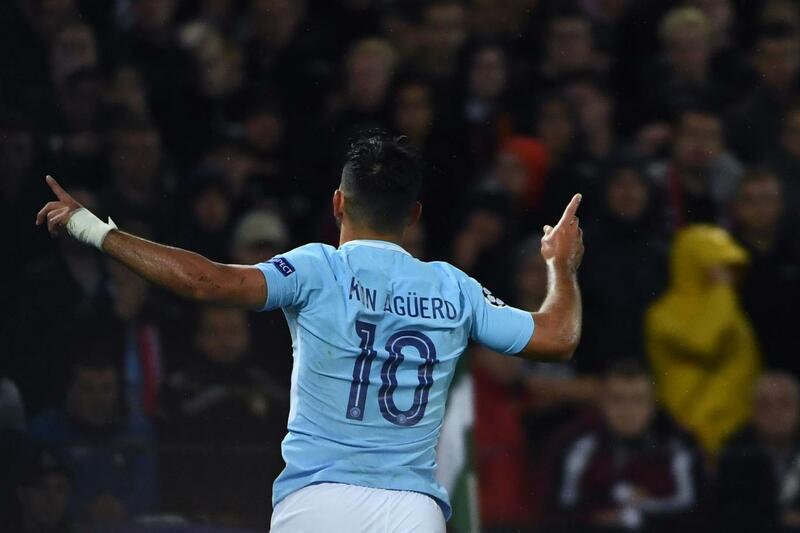 Whilst it has still to be determined how long Sergio Aguero will remain on the sidelines following his car crash in Amsterdam, City still possess plenty of firepower to temporarily replace the Argentine striker. Come in No 10 – City’s all-time goal scoring record beckons for Super Sergio – but first he has to recovery from his rib injuries. 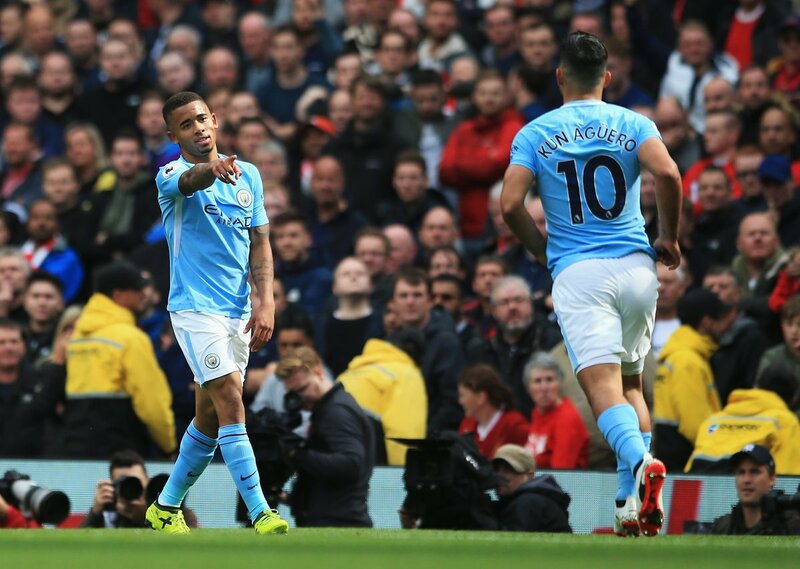 Gabriel Jesus has netted four times in the league this season, but the goal haul has been shared around with Raheem Sterling on five, Leroy Sane on three and Delph, Otamendi and De Bruyne all notching the one. Brighton’s Dunk weighed in with an own goal and, of course Sergio has six. 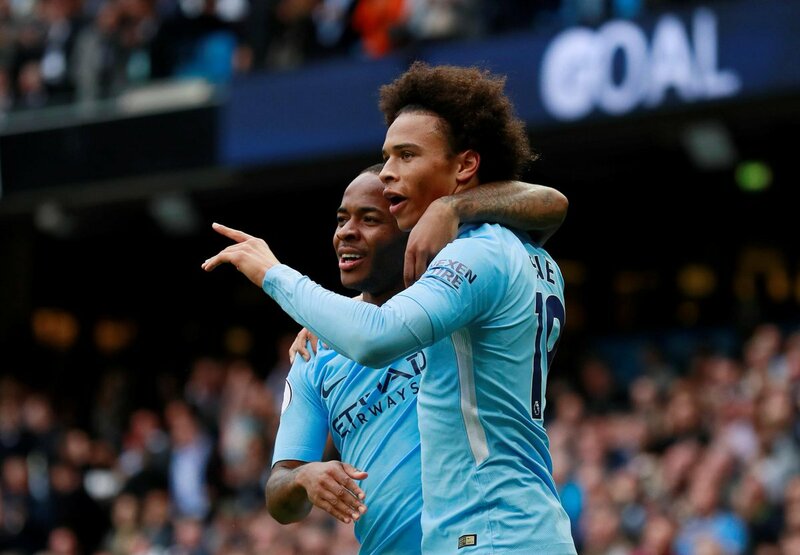 The triumvirate of Jesus, Sane and Sterling stood City in fine stead at Chelsea and could well be called upon in the coming weeks to do so again and again. The Pep Effect – now, more than one season into the job at the Etihad, Guardiola is moulding City into his team. The trio have a combined age of just 63-years – quite phenomenal for a team of City’s standing – with Sterling the most senior as he heads towards his 23rd birthday in December. Sterling has scored 18 goals in 70 Premier League appearances with City, and eight in 32 various cup competition games. It’s an average of roughly a goal every four games. Not bad but, more importantly, he’s improving all the time under Pep’s guidance and tactical know-how. Sizzling – Sane and Sterling are on fire at present. Let’s hope they can keep burning opponents all season long. Sterling’s rich vein of form could see him start for England against Slovenia, a game which should be fairly straightforward for Gareth Southgate’s men according to Oddschecker, who also predict them to keep a clean sheet at Wembley. As the goals go in at one end, City’s defence has been producing more clean sheets than a Chinese laundry, conceding just two in the league so far. This is the standout statistic compared to 2016 when City had shipped goals at the rate of one-per-game. They shall not pass – Ederson is already having a hugely positive influence as City’s new goalkeeper. 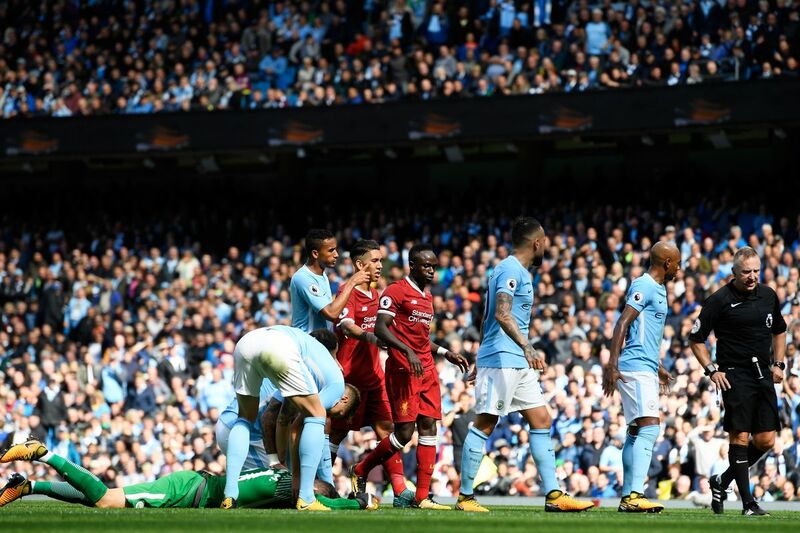 The vast improvement owes much to installing Ederson between the sticks – a keeper who has already won the hearts of the City faithful with his brilliance and bravery. 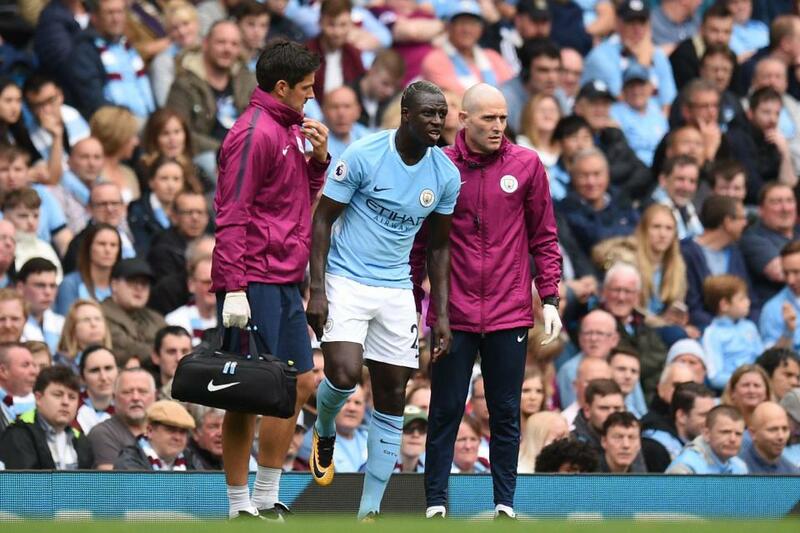 The introduction of the new full backs has been hugely beneficial from both an attacking and defensive perspective, albeit the loss of the wonderfully talented and equally humorous, Benjamin Mendy to an ACL injury is a major blow. 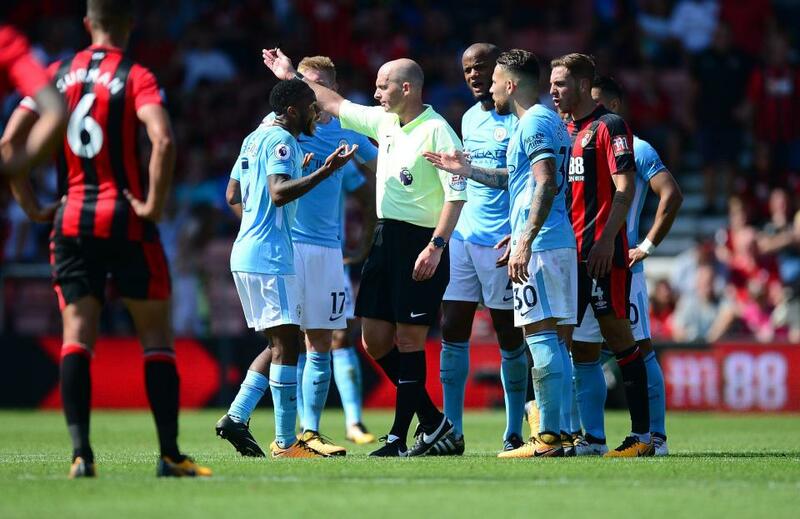 Not all plain sailing for Super City – arrogant Mike Dean sent off an ‘innocent’ Raheem Sterling for his 97th minute goal celebrations at Bournemouth. John Stones and Nicolas Otamendi are looking increasingly accomplished and confident together. It obviously helps not having to cover for ageing out-of-position full backs. Captain Vincent Kompany has been missing since the last tour of international duty – the Curse of the Belgian Calf – and yet City have kept the opposition at bay in all four games without the skipper. 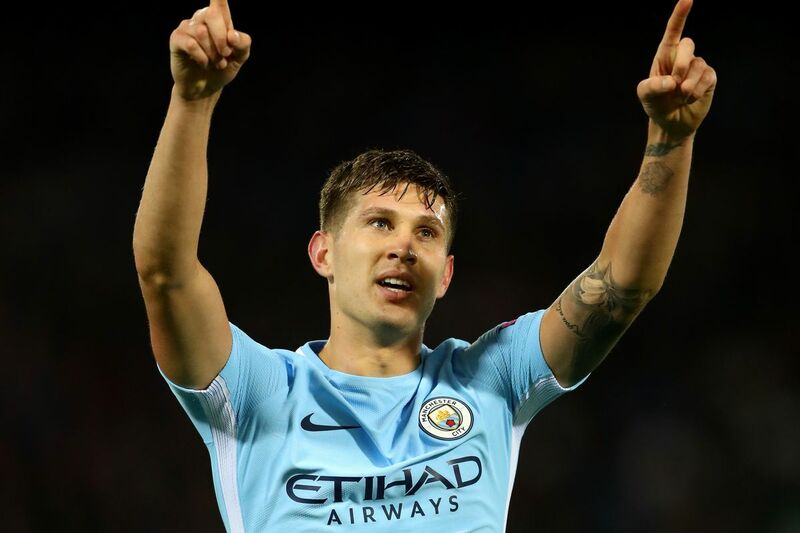 Outstanding – John Stones has really stepped up in the absence of Vincent Kompany. 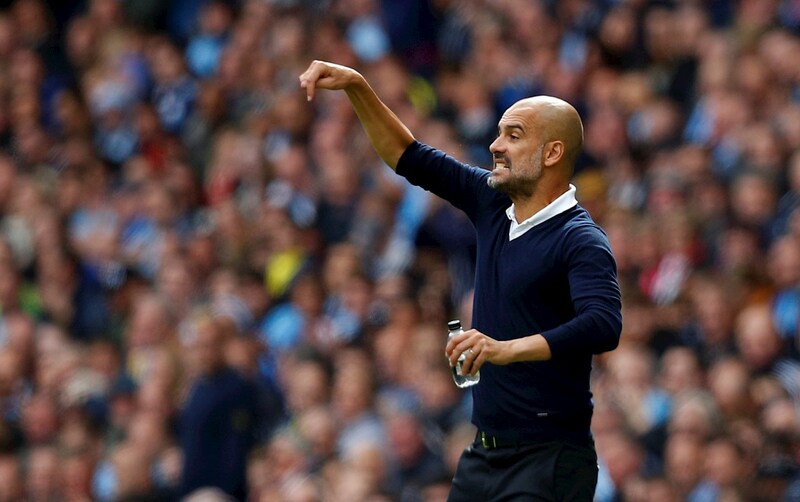 City can boast a 100% error free campaign thus far, avoiding any mistakes that have been punished by opponents. This is in stark contrast to seven errors last season, as a shaky backline was all too vulnerable all too often. Facing fewer shots on target drastically reduces the risk of conceding and, between them, Brighton, Everton, Bournemouth, Liverpool, Watford, Crystal Palace and Chelsea have only cobbled together 13 efforts. 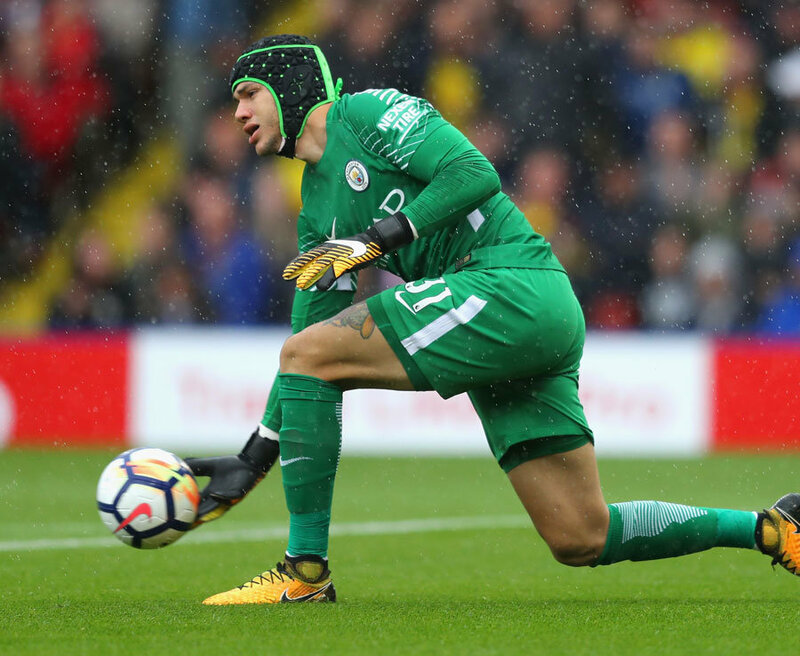 Overcoming adversity – Ederson, Mendy, Kompany, Aguero and Gundagon have all been in the wars with injury this season. Last season City had allowed double this number of attempts on Willy Caballero and Claudio Bravo’s goal. Fewer tackles and interceptions have been necessary this season, with the centre-backs reading the game successfully and improving on their positional play. ‘You don’t win the title in September’, is an oft repeated cliché, but it certainly doesn’t hurt to be sitting top and looking good as autumn dawns. 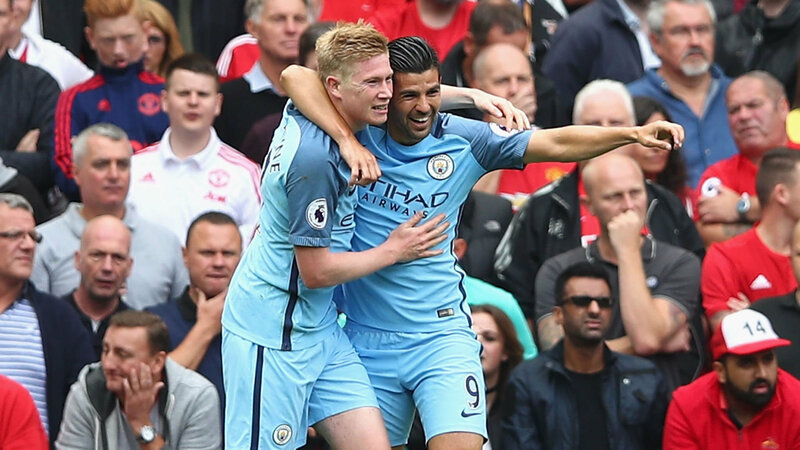 Special K – De Bruyne is among the elite players in the world today. All the data points to a significant City improvement, and with winnable looking match ups against Stoke, Burnley and West Brom this month, the Sky Blues have a great opportunity to continue their stay at the summit. That said, there can be no room for complacency this time around. Stay focused – Pep has his eyes on the big prizes. The wheels came off Pep’s debut season after the October break, when City dropped a dozen points from a possible 30 in the run up to Christmas. Any repeat would be incredibly damaging. Thankfully the number crunchers strongly suggest it’s highly unlikely to happen, as does City’s high-pressing dynamic style of play, aligned to a miserly defence. The sooner Kompany and Aguero are available the better and, in the meantime, City will be hoping players return fit from the World Cup qualifiers in readiness to play Stoke City on October 14th. Same again please – City need to pick up where they left off at Chelsea when the international break is over. If City pick up where they left off in London SW6, it’ll be back to the thesaurus and those superlatives. The numbers will speak for themselves. 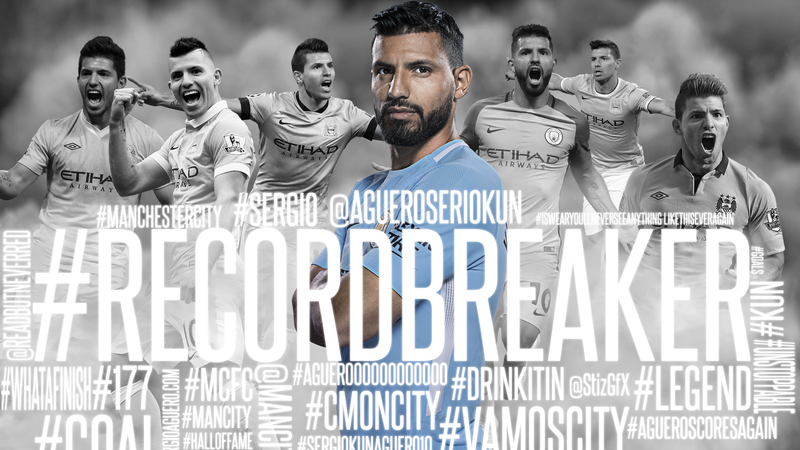 So far Sergio has scored 176 times for City, one shy of Eric Brook’s total of 177. We want to know when you think Aguero will net his 178th goal? 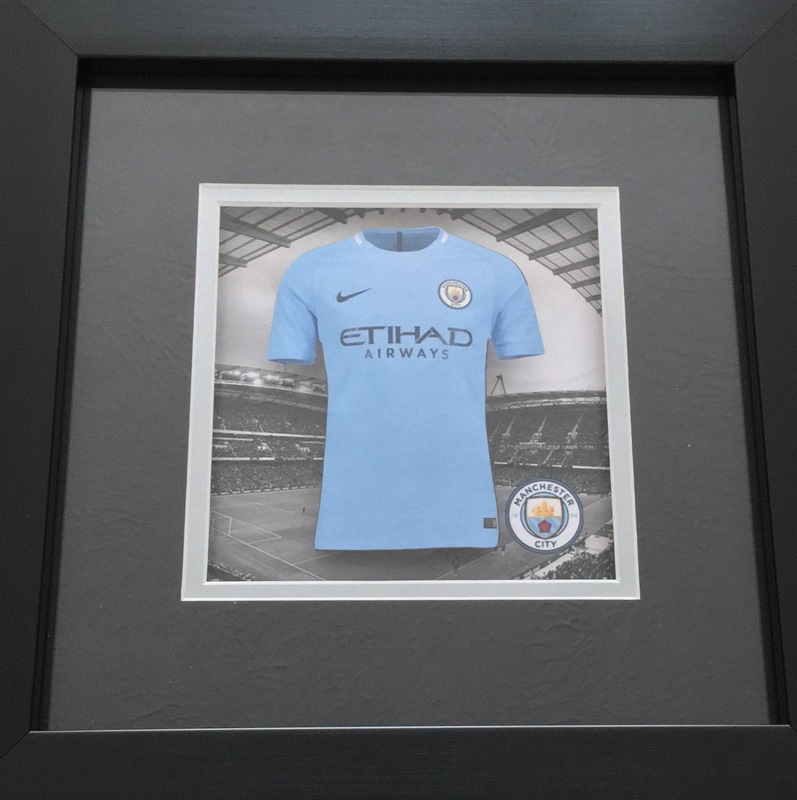 If you can guess the match when he reaches this momentous milestone you’ll have a chance of winning the framed Mini Kit. What a superb read ? my guess Sergio will net it on my bday october 14th how fab would that be ?? High tempo, loads of possession, more clean sheets than you can "shake a stick at" and goals a plenty. Certainly a different "feel" this season. There will be blips along the way for certain, but this the most exciting City team ! It is rather splendid isn't it RC...obviously rhetorical. Thanks fella. I await to see if there is cover for what seems to be a missing Vinny. Not a bad start for a 4th place team say the pundits CTWD. We'll show the buggers! Cheers Guv. You should write a book at the end of each season because I would definitely buy a copy. You have a unique way of including statistics in a way that isn't boring which is a rare trait. High praise indeed - RBNR isn't boring ;-) Joking apart, many thanks for the feedback and glad you enjoyed the article. I hate all these statistics and all the managers who tell you they should have won because they had more shots/possession/distance/etc. There is only one statistic that matters in football - goals scored. The purpose of the game is to score more goals than the opposition. If you did that, then by definition, you were the better team. Everything else is irrelevant! 98 MAN CITY 0 WIGAN 1 - Mayday Mayday, City in distress!